New exhibition at the Old Courthouse Heritage Museum - Citrus County Historical Society, Inc.
Their is always something new and exciting in the rotating exhibit gallery. 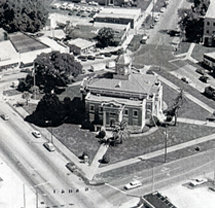 Every few months, the Old Courthouse Heritage Museum puts up a new display that showcases a unique aspect of Citrus County or Florida History and Culture. From now until April 2019, come and see the latest rotating exhibit, Manatee Mania! This exciting new interdisciplanary exhibit combines history, art, and science to give visitors a deep understanding of the manatee's history in Florida and of what may lie ahead in our shared future. 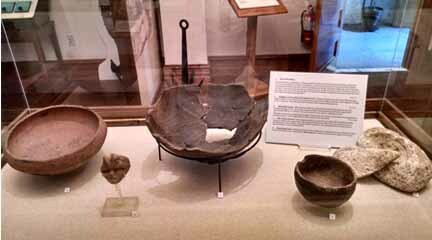 The Brannen Family Gallery of Pre-History houses an exhibition titled, Changing People, Changing Springs - Chassahowitzka Discovered. Chassahowiztka Springs has been described as a time capsule of Florida history. Beginning with the Paleoindians, who arrived here some 10,000 years ago, to more recent tourists who arrived by steamship and train, people have left tantalizing clues about their sojourns at the Springs. Divers, with assistance from archeologists, have recovered everything from ancient wooden paddles, to Spanish pottery shards, to kerosene lamps and old Coke bottles. These artifacts and many more, will soon be on display at the Museum. The springs, with their fresh water and abundant fish and game, have always been natural gathering places for people. The hundreds of artifacts recovered from their depths make up one of the largest collections to be displayed in Citrus County. Some of the really significant finds are a 10,000 year old Suwannee projectile point from the Paleoindian period, two wood paddles/oars (about 2,500 years old), a wood cypress fin effigy, an intact Pasco Plain bowl (AD 100–1500), a Spanish majolica plate (1600s), and Chattachoochee brushed pottery pieces (1700s). 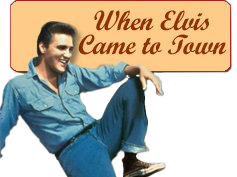 The exhibit includes artifacts (rare and one of a kind), maps, photos, interpretive panels, and interactive areas, including a net-making table for children and a “Test Yourself” quiz game for all ages. Local History- A second permanent gallery the Mary MacRae Gallery of History houses an exhibition titled, A Long Way Home, which interprets the history of Citrus County from about 1887, at the forming of the county until present. Displayed in this gallery are interpretative panels on the county’s many early industries. 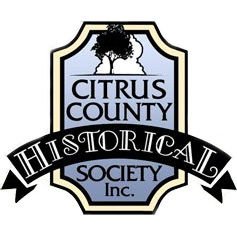 Discover the role that Citrus Countians have played in the many wars over the years that have affected Florida and our area. On display is one of the original clock faces from the clocktower, where women volunteered as spotters to look for enemy planes during WWII. These volunteers signed their names on the back of the clock face. Originally, this was part of the area that housed the Citrus County Property Appraiser and Tax Collector offices.